I love a good hot dog. Easy to make, fun to eat. Stuff has to fall off while you’re eating it. That’s the sign of a great hot dog (actually, it’s the sign of good food, period). This Jersey City hot dog combines some of the best things you can have: spicy BBQ sauce, smoked bacon, onion, and of course… cheese. A little crunch and a little kick. Perfect! 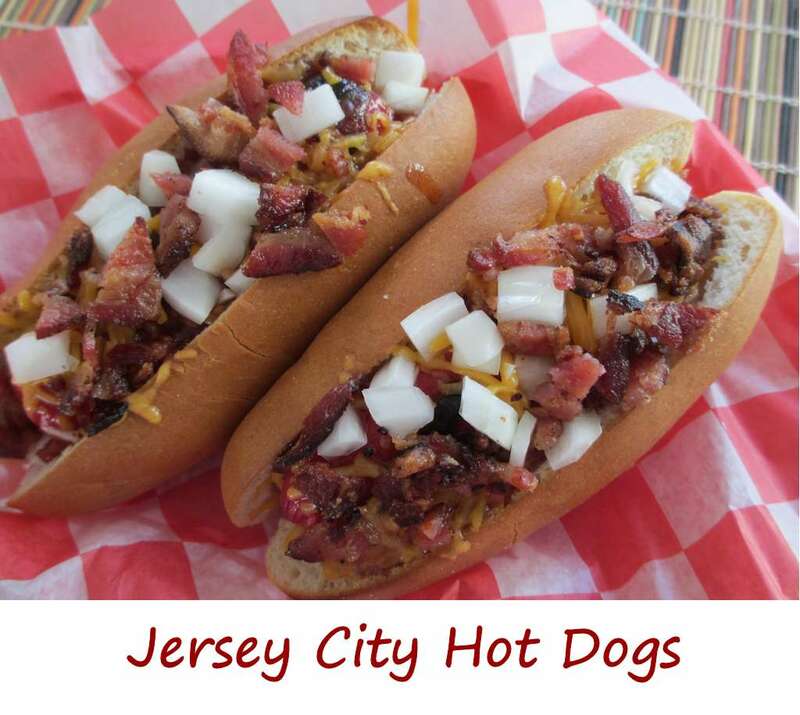 I used some of my homemade applewood-smoked maple bacon on these Jersey City dogs. Wow, what a great combination of flavors. Don’t skimp on the bacon. Life’s too short for tasteless cheap bacon. I didn’t go wimpy on the BBQ sauce. Nope, I used my favorite Bayou BBQ Cajun sauce from Frog Bone. It’s a nice thin sauce with great spice and kick. Also try my Memphis-style BBQ hot dogs. Cook or grill your dogs as desired. Add dogs to buns and top with BBQ sauce and cheese. Place under broiler just long enough to melt the cheese. Add the onion and bacon and serve. This entry was posted in Hot Dogs and tagged bacon, bbq, cheese, hot dog, Jersey City Hot Dog, onion, recipe by Mike. Bookmark the permalink.